I’m a sucker for clever representations of the periodic table of elements, so of course I just love the Element Blocks Kickstarter project. Think of it as a physical version of the table with elements you can actually pick up and hold. 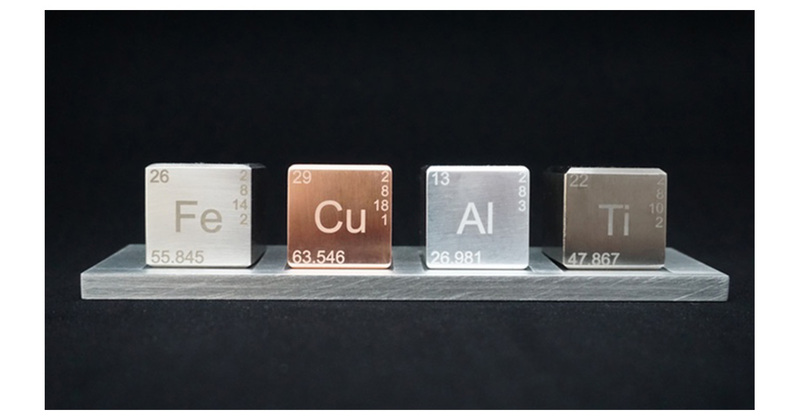 Element Blocks includes four blocks: iron, copper, aluminum, and titanium, along with a machined display stand. The blocks are about an inch on each side and are at least 90% pure, and their element symbols and weight are laser engraved. The project has already reached funding levels with about two weeks left to go, and you can get yourself an Element Blocks set for US$38. txaggie90 and geoduck: Wow – I’m impressed! And here I thought I was the only chemist reading this here e-fishwrap! Just don’t get it from the Libyan Nationalist kickstarter.